Yakima makes some great car top carriers. They have been around for more than 30 years and have been making all sorts of gear to help people carry more stuff on their cars and vehicles for quite a long time. We have reviewed some of their car top carriers, listed below. 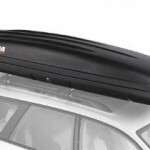 Review: Yakima RocketBox 11 Car Top Cargo Box- The Yakima RocketBox 11 Car Top Cargo Box features a very long and narrow box that does not need a lot of space on your crossbars. This lengthy design provides sufficient room for snowboards, skis and it still has more than enough space for the poles and boots. 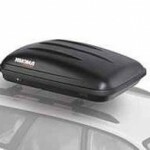 Yakima is known for making very durable products, and that shows in the design and execution of these car top carriers. Each user of the carriers has their own experience though, so we recommend that you see what owners have to say by reading our reviews. We look at several other brands of car top carriers and car roof bags too, so we encourage you to see what they are all like if you are shopping around and looking for a cargo box for your vehicle.